Archeologist Lyra Mayet's life's work has been to prove that Pharaoh Horemheb had offspring. She is thrilled when she finally succeeds by locating the tomb of Namire, the Pharaoh's daughter. However, Namire's tomb contains more than just secrets; it holds the key of balance between good and evil. Recently stolen from the Goddess Ma'at, Lyra's discovery allows worshippers of chaos the ability to attain the sacred feather and bring about a world of hellish anarchy. Anubis's second in command, Asim has been given the duty by the Egyptian Gods to retrieve the Feather of Justice before it's corrupted and destroyed, thereby bringing about a new world order with chaos at its head. Following the trail of the feather to the United States, Asim realizes he's running out of time. What he doesn't expect is Lyra, who reminds him of a love lost long ago. Even though his distraction delays his retrieval of the feather and puts the world at risk, he isn't sure he can let her go. Teaming up, the two race to reacquire the feather from the followers of chaos before it's too late. They have less than two weeks to complete their mission. Will they succeed or will the world succumb to the evil waiting to arise? Lyra Mayet lost her parents who where on the plane that hit during 9/11 and she has spent her life trying to deal with the loss. She is an archeologist who along with her best friend Sebastian is trying to prove that Pharoah Horemheb had a daughter something that has left her ridiculed by others. When at long last she discovers a small chamber connected to Horemheb’s tomb she finally proves she is right. Namire, Horemheb’s daughter’s tomb has finally been found and Lyra has proved herself. This discovery would change Lyra’s life forever because finding this tomb would just be the beginning of unbelievable events in her life. All the findings from the tomb are shipped back to Chicago only one of the findings was the feather of Ma’at a feather that was used as judgement for those passing through the underworld. If this feather gets into the hands of the followers of Set and if he is freed into the world, the world as we know it would cease to exist and chaos and disharmony would rule. It is Asim, Anubis, the God of the Dead’s second in command who is sent to locate and return the feather before it is too late. Namire was the love of Asim’s life and in all the centuries that she has been gone she has never been out of his heart and mind. Sent on the mission to return the feather he has no choice but to confront Lyra and that meeting is the beginning for Lyra and Asim. Secrets are discovered and Lyra’s life would be forever changed. 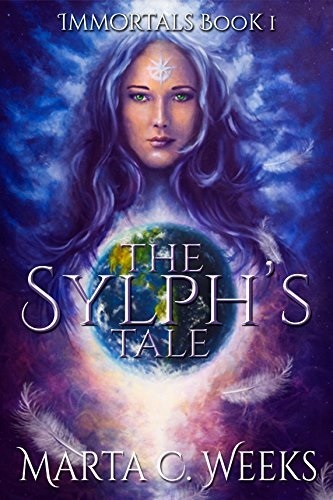 Lyra and Asim have to work together to return the feather before the fate of mankind is forever altered and at the same time figure out why they have this instant attraction to one another. If you love reading about the gods and goddesses of Egypt then this is the book for you. We visit the past and the present and learn what connection Lyra and Asim have to each other.